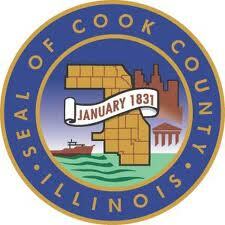 Cook County revalues property for tax assessment on a triennial system. 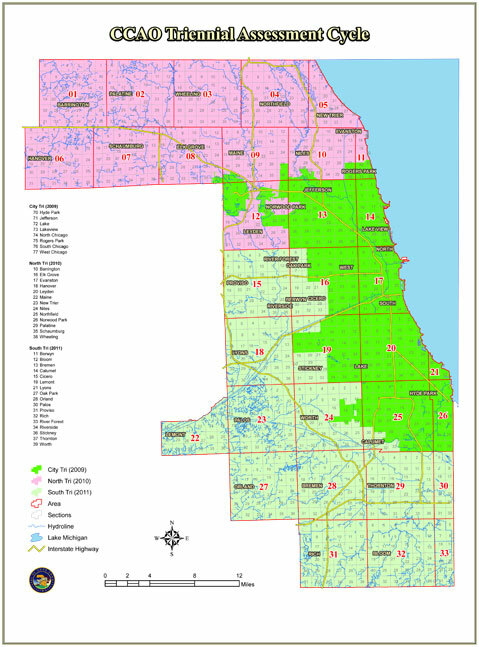 Cook County revalues property for tax assessment on a triennial system (every three years), and Chicago’s Central Business District is up for review in 2012. This year the assessment process will be run by the newly elected Assessor Joseph Berrios, who was a long-time member of the first formal appeal level — The Board of Review — before being elected to this office. By all accounts, the new tone in the Assessors communication is one of transparency, fairness, and speed in the review-setting process. Around the County Building, word is that members of the new administration intend to improve the revaluation process by bringing their experience into the assessment setting stages. The number of properties that were previously “letter properties,” or ones that require an appraisal in advance, will reportedly be reduced in number. This normally included most of the CBD large value assets. Owners may still find it prudent to complete appraisals as part of the Board of Review filing process, but the appraisal will no longer be required to be sent in advance to the Assessor. The Assessor’s office has given no indication of expectations of what will happen to values. Reportedly values of homes were reduced last year in the southern portion of the county by 15 to 35 percent. Expectations for other non-voter property types were not revealed. The Assessor’s office did indicate that it is their goal to complete the assessment process so that tax bills will be issued on a timely basis. The first installment of taxes is based on 55 percent of the prior year’s total tax liability. The second installment is the “true up” and has been issued late for decades. Beginning 2012, the goal is to have the process completed for an early fall mailing. A new website, set to go live April 1, 2012, will be “a one-stop shop” for records kept by five county offices: Treasurer, Assessor, Clerk, Recorder of Deeds and Board of (Tax) Review. The address is: CookCountyPropertyInfo.com. The above could truly be the start of real change in the property assessment process in Cook County. As an optimist, I believe we will see change; realistically, the question is how much. Either way, it looks positive in direction and potentially landmark in changing historical behaviors. This entry was posted in Chicago CRE industry and philanthropy, Property Management and tagged Assessor's office, BOMA/Chicago members, Chicago's central business district, Cook County revalues property for tax assessment on a triennial system, CookCountyPropertyInfo.com, CRE, Equity Property Tax Group, first formal appeal level -- The Board of Review, improve the revaluation process by bringing their experience into the assessment setting stages, newly elected Assessor Joseph Berrios, Norman J. Quinn CMI, property assessment process in Cook County, The Assessor’s office, the County Building. Bookmark the permalink. Hello: We sincerely appreciate your comment. Keep reading “The Elevator Speech” for more great commentary on Chicago and the commercial real estate industry. Keep it up…Either way, it looks positive in direction and potentially landmark in changing historical behaviors.